Leading Exporter of aluminum chloride hexahydrate from Dhule. We are well known entity involved in processing the supreme quality Aluminum Chloride Hexahydrate. Our experts are backed with the competitive advantage of technological advancements that gained us the expertise to process precise formulas. The offered chemical is safe on skin and used widely for its higher efficacy standards. Owing to our strict quality compliance we are providing the purest form of this chemical, which can be ordered from us at the market leading price. 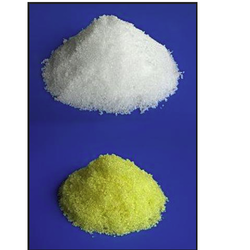 Looking for Aluminum Chloride Hexahydrate ?